How to rebound on a trampoline is something the In-Ground Trampoline professionals get asked all the time. In fact, “rebounding” is a fancy term for “jumping” on your trampoline. Exercising on a trampoline, whether an above ground or an in-ground style is called rebounding. This type of exercise is ideal for someone who is out of shape and looking to get started on an exercise routine and it might even be ideal for someone who is recovering from an injury. Ask your doctor if you’re unsure whether rebounding is a good exercise for you. Rebounding is an activity that children and adults with limited mobility and even though with neurological disorders can try. Some parents and therapists find that rebounding is an exercise that benefits those with down syndrome or autism; perhaps because of the rhythmic motion and certainly because they won’t fall and get injured. If your doctor recommends rebound therapy to help you recover from an injury, he or your physical therapist can provide you with a series of movements and activities to do on the trampoline that will help you recover from your injury. Rebounding during recovery helps increase your balance and rebuild your muscle strength. In addition to helping you recover, jumping on a trampoline is just plain fun! If you have a ground level trampoline, in-ground trampoline, you will have an added measure of safety and security because you’re at ground level. You may even need to, or want to, add a stability bar to hold onto while you bounce and regain your strength. 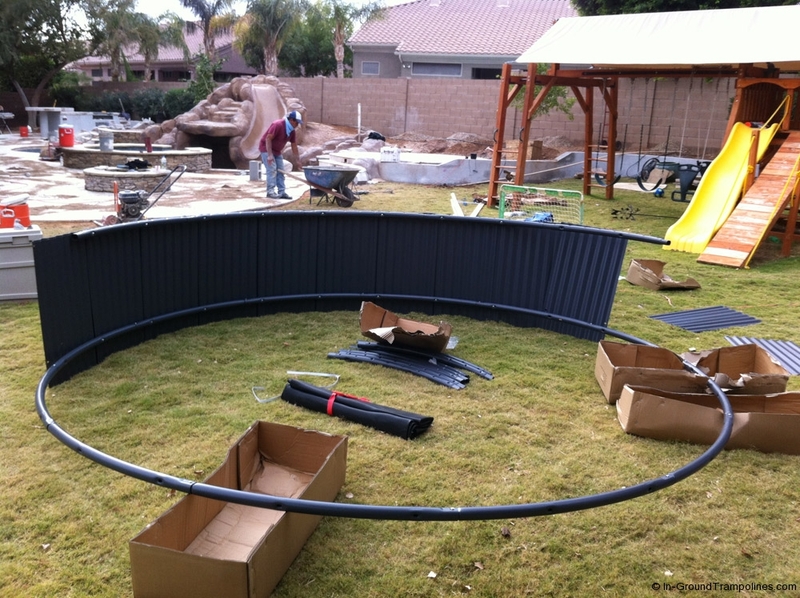 If you have an above ground trampoline you will want to have a stable method to get onto and off of the trampoline. Consider moveable steps or a step stool, but have someone by you as you use the step stool to get onto and off of the trampoline. Are you in the market for a trampoline this year? Give us a call and let’s get you set up and ready for rebounding season!